Today I get to share a wonderful new book from Wisdom Tales Press. It is being released October 7, 2015. 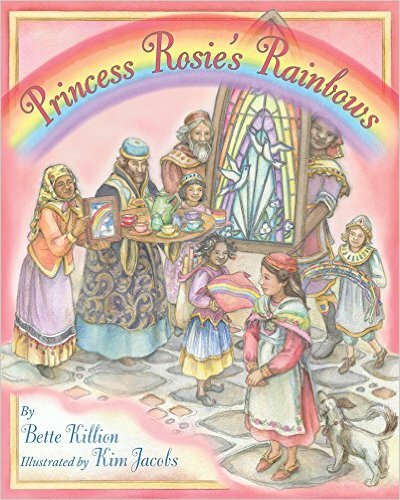 Princess Rosie's Rainbows by Bette Killion and illustrated by Kim Jacobs is a beautiful book and story about a princess who lives in a magical kingdom but is only happy when there is a rainbow in the sky. Her parents want her to be smiling all the time and offer a reward for the person who can give her a forever rainbow. 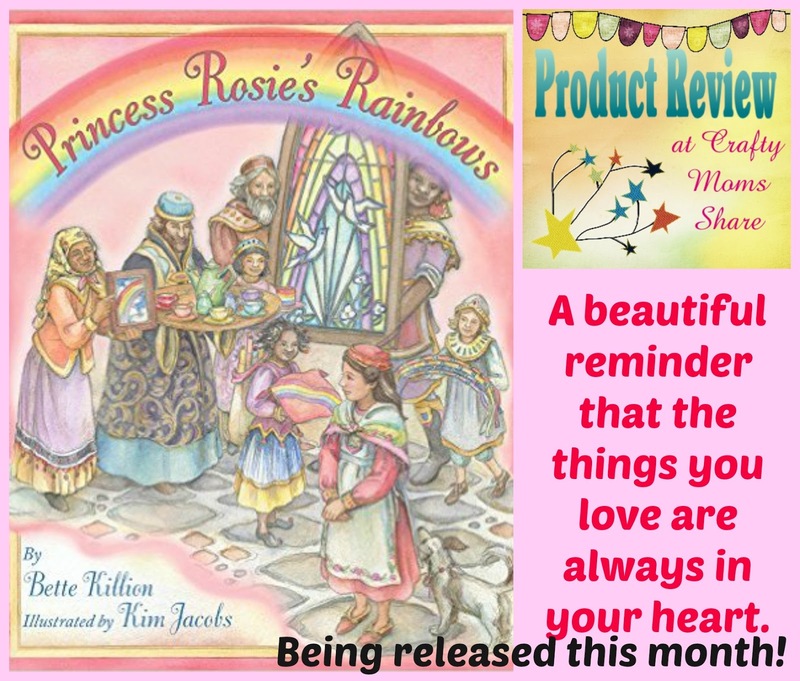 None of the rainbows do it until a wise teacher comes to share a secret with the princess. Now my first comment is we received this book the day before Hazel's school began and read it that night. It was perfect. We were able to discuss how all loved things and people are with you in your heart even when you cannot see them. Hazel had huge school anxiety and hated being away from me so I was able to use this book to show her how I was with her in school in her heart. It was perfect!! Besides that perfect timing the story itself is wonderful. For many children there is the one thing that makes them happiest in the world and they cannot imagine being without it--whether it is a person or a lovey. 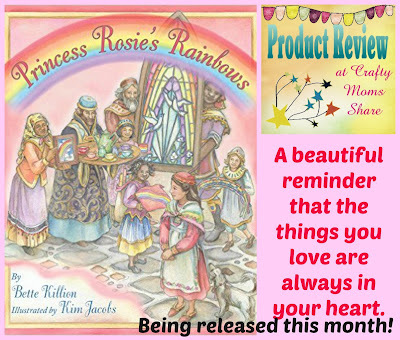 This book helps share that secret of love in our hearts and hold everything there. Then at the end of the book it discusses the science behind rainbows and offers a few ways to make your own. We are lucky enough to have a machine that displays a rainbow on Hazel's wall or ceiling. She picked it out with a gift card a few years ago. I always turn it on at bedtime for her. 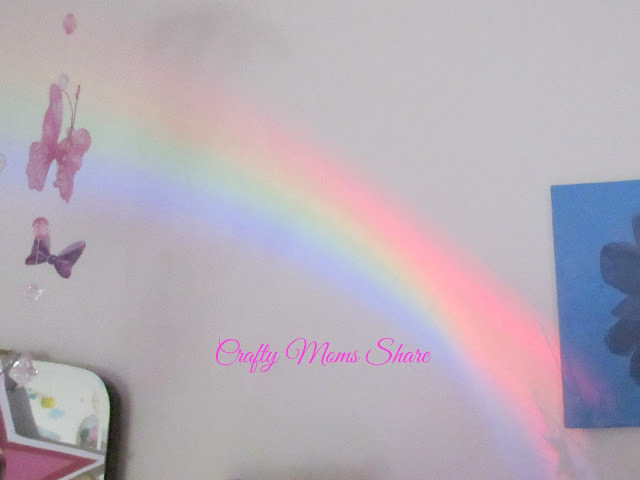 We also have a few prisms around our house for the rainbow effect as well. 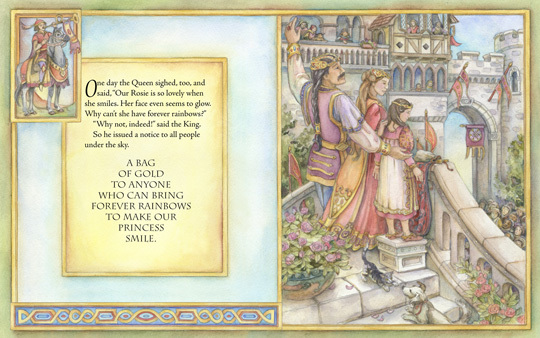 The other part of the book that is beautiful are the illustrations. The pictures are colorful and just beautiful. Kim Jacobs did an amazing job with the illustrations! The book also always leaves me with a good feeling after reading it. It is one of those books I won't mind reading again and again. Hazel and I both really like this one. I hope you will take the time to check it out! !